Forecast is an application designed to offer a fast and simple way to schedule teams across projects. Ease of use is the first thing that comes to mind. Forecast is a simple solution that presents data in an easy to understand way. This makes on-boarding easier across all departments, as assigning and viewing assigned hours is easy. We've found it best in our organization to have one designated super admin, and then at a weekly meeting we spend about 15 minutes discussing and scheduling the work for the week, checking hours for resources and making sure that no one is over/under booked. With that ease of use unfortunately comes some loss (or lack) of information. It's not as detailed as something like JIRA, but it is ahead of the rest in terms of how it visually presents and organizes vital information. While this is a downside, I really don't hold it against Forecast as, again, the simplicity of the visual interface is what sells it for my team. Scheduling, in particular an issue with overbooking resources. Forecast has significantly reduced (1) the back and forth of solving cross-project scheduling conflicts and (2) has helped reduce the times when we have a resource booked for over 8 hours in a day. What I like the most is the booking. I can plainly observe is the group is overallocated or not. Also, the client administration is splendid. At whatever point there is an issue, they can help in a split second and precisely answer the given inquiry. At long last, the activities see. It has numerous helpful highlights and UI is an artful culmination! What's more, It can be chosen what is essential to you and what you need to see when entered the rundown of the activities. Extremely simple to explore and change the information inside the application. It is essentially incredible! Everything is associated, it is an or more however when I am endeavoring to put my qualities, for example, what is the rate done of the undertaking I can't on the grounds that first I need to put every one of the subtleties in the extension tab. "Great Product for Understanding Company resource Capabilities"
It allows management and project leads to determine the amount of hours that are being dedicated to various company projects. This provides them with an idea of personal requirements going forward for future business and current clients. The user interface for the tool is very easy to navigate through and not too much of a learning curve is required for the end users to update it regularly. It unfortunately does not have a private view for the end user, in case they want to track projects that the user does not want management, project managers, or other company employees to see. It could have more integration capabilities with other Harvest products, but does offer some useful ones at the moment. Make sure you are aware of limitations if you do not have other Harvest applications, but it is a very useful tool for consulting and resourcing use cases. The ability to connect the Harvest time tracking application actual hours to the previously forecasted hours, is a very beneficial integration that we currently use. The sole forecasting capabilities of this application have allowed us to maximize employee billable hours and add resources to certain projects in a consulting environment. "Forecasting for Engineers makes sense!" Forecast integrates with Harvest. Creating a project, team, and schedule is extremely easy. Essentially you can map out your engineering teams schedule in advance or for an entire lifecycle of the project. I can add milestones and hours per date - the at a glance view of a full project, forecast, schedule is one of the best features for your PMO. Sometimes its very slow - when trying to make updates it can take a bit of time to actually get it. Could be more performant. If you use Harvest, and need a scheduling tool, I highly recommend this as a first step! Scheduling! Scheduling engineering teams/resources on multiple projects can be a nightmare without the right tool. We use Harvest for time tracking, so having a tool like Forecast that aligns with the project budget hours, makes is super simple to schedule exactly the amount of hours you have available. Forecast is the way we keep track of resource allotment within the company. We work under a contractor system so this is also the way we keep track of projects and when each statement of work is up. My responsibility is to keep everything up to date and ensuring projects and people are distributed correctly and dates are always updated. Forecast is easy enough to use and to visually keep track of workflows. So far I haven't seen anything memorable I dislike about Forecast. Forecast helps us keep track of all our project workflows, and as long as we keep it up to date it helps us visualize work loads and helps us keep track of project end dates. "A good project management SaaS tool." We use it to manage our software development processes, which has a mix of short 1-2 days tasks and longer multi-month projects. also it's allow direct integration with Harvest thus make this sime and east to use for everyone. This tool would make my life even easier if it had some type of automated reporting that would give me historical data on my teams capacity and project durations for future planning. I'm a project manager who has tried MANY different forecasting tools. I was frequently frustrated by forecasting tools that were too exact and cumbersome for agile planning for small teams. Forecast is a great lightweight tool for estimating and understanding capacity of your team in one view. The simplicity of user interface is awesome. Makes it easy to see who is available. People are not auto-added to projects in Harvest if they have been added to a project in Forecast. This makes it double work to add someone in Forecast then remember to go back and add them in Harvest so they can bill time. This is a great tool if your business is pretty straight forward. If you have multiple locations and a lot of "tentative" projects to schedule, it isn't as great. Solving problems of knowing which consultants are available and when. The benefit is it makes it easy to assign available consultants to upcoming engagements. "Helpful way to see what the team's projected bandwith is!" I like being able to see what I'm going to be doing without having to bug anyone, as well as seeing which of my co-workers have bandwidth in case I need a hand on something, without having to ask around. You can also see if you have gone below or over your projected hours as it integrates with Harvest, the time tracker. Sometimes it feels like it's hard to have a recurring project time (say 40 hours a week on a project for months) and add in PTO, it seems like you're working a ton of hours that week unless you go in and tweak each individual day, which is sort of tedious. My experience with Forecast is that it does exactly what it says - it helps to forecast what your team is doing! You can see what you are set to do on projects in the future, as well as teammates. It also integrates with Harvest, the time-tracker, which is helpful, so you can see if you have met the expected hours, gone below or over. Making sure that everyone is booked on a project full-time but not going over, seeing when there will be empty bandwidth to put people on new projects or when internal projects can be worked on or when the best time to schedule PTO might be. It also gives a quick look at how projected hours are going vs actual hours. "It is an efficient and practical tool that allows you to manage your resources and presuspuestos "
The solution also offers in-depth insights that every member can take a look at. This level of collaboration paves the way to higher efficiency, as everyone is aware of the state of projects and are aware of what they can do to be more productive. 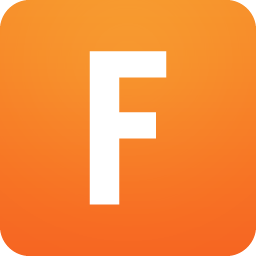 Furthermore, Forecast has time tracking and scheduling tools that let managers and team leaders delegate tasks to those who are able to complete them efficaciously. With these, each member can prioritize immediate responsibilities so that the team can meet its deadlines. They can provide templates for customising according to the projects and other tools for robust project and team management. 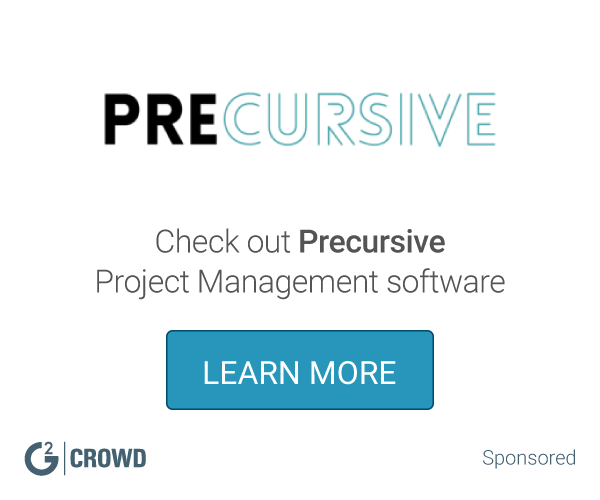 For coherent collaboration, intuitive project tracking , smart resource allocation. "Great tool for planning out resources!" The visual representation helps to easily lay out projects in a bird's eye view for all members to see. With it's simple design, there isn't much I don't like. Yes - the interface could be fancier but at the end of the day, it's the functionality that really matters. Communication needs to back this tool up. Along with user protocols to make sure all users are implementing and reviewing this as needed. "Great support software for our development plan"
I am absolutely a fan of the user interface and just the ease of use of this product. During our strategic development planning committee we decided to purchase they software to help us forecast areas of growth and likewise areas of diminished returns and we have really seen consistency in its analysis's. While I personally love the interface, we have seen members who are challenged by the workings of the software. Again we've just seen accurate analysis based on the calculations and algorithms that are set in the software system. It is very easy to use, easy to add employees and programs - integrates with other Harvest tools. Wish it could be more integrated with actual gantt tools. I may be just don't know how but it is not obvious nonetheless. If we have enough bandwidth or not. "Overall a great experience and fairly simple to use"
There is definitely a learning curve when you first start using it. Also I wish it gave you more reporting options in terms of scheduling delivery, timing options and just more metrics overall. I also would like it to have more training materials to help you when you begin. Forecasting sales for my client by season, market, month and channel. It’s fairly simple to manipulate and update the dimensions. "Forecast so you don’t have a rainy day"
The integration with Harvest makes it an easy process to assign tasks to another team member. It is difficult to see what a team member is working on. It's great for time saving. * We monitor all Forecast reviews to prevent fraudulent reviews and keep review quality high. We do not post reviews by company employees or direct competitors. Validated reviews require the user to submit a screenshot of the product containing their user ID, in order to verify a user is an actual user of the product. Hi there! Are you looking to implement a solution like Forecast?